The USGS maps of the area show no historical seismicity in the area. There are Indian legends of historical eruptions and at least two questionable reports of possible explosive activity in the early 20th century. The field has 400 volcanic cones and other features documenting an eruption history extending over the past few million years. Yesterday's quake has a horizontal accuracy of about 26 kms so we can't be too certain that it actually occurred within the volcanic field. 4. public distrust of scientists resulting from "Climategate", the stolen emails from climate scientists. 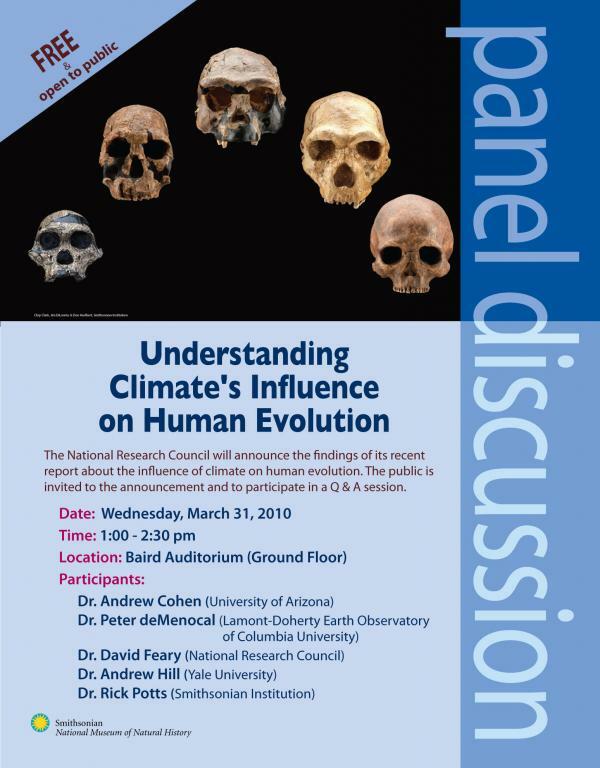 Randy spoke at the Arizona State History Museum next to UA to a standing-room only crowd as part of Earth Week. 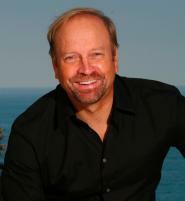 He spoke extensively about the reasons the Academy Award winning movie with Al Gore did not really improve awareness or create a sense of urgency among its viewers, then laid out the four elements of successful communications about science that he talks about in his popular book, "Don't Be Such A Scientist." He's also speaking tonight following the Tucson premiere of his latest movie, "Sizzle, A Global Warming Comedy" at the Loft Cinema. We tried to get in but it was completely sold out and they were turning away scores of people. Forget gold. 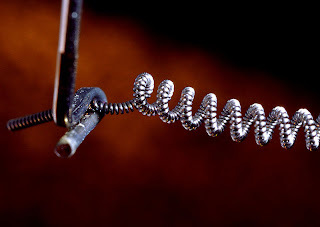 The next big thing is going to be the rush to mine tungsten in Arizona. In order to make incandescent light bulbs that can only be sold in Arizona. Yesterday, the Senate Committee on Commerce and Economic Development passed HB 2337, which will keep the standard incandescent light bulb on the shelves in Arizona after federal energy standards imposed by former Pres. George W. Bush take effect in 2014, that will effectively ban the current bulb as too inefficient. The Arizona legislation is attracting lots of attention across the state and around the country as a symbolic battle of federal authority vs states rights. The bill sponsor, Sen. Frank Antenori argues that if all the basic components of the light bulb are produced in Arizona, it is not subject to interstate commerce restrictions. The bulb however, could not be sold in other states. 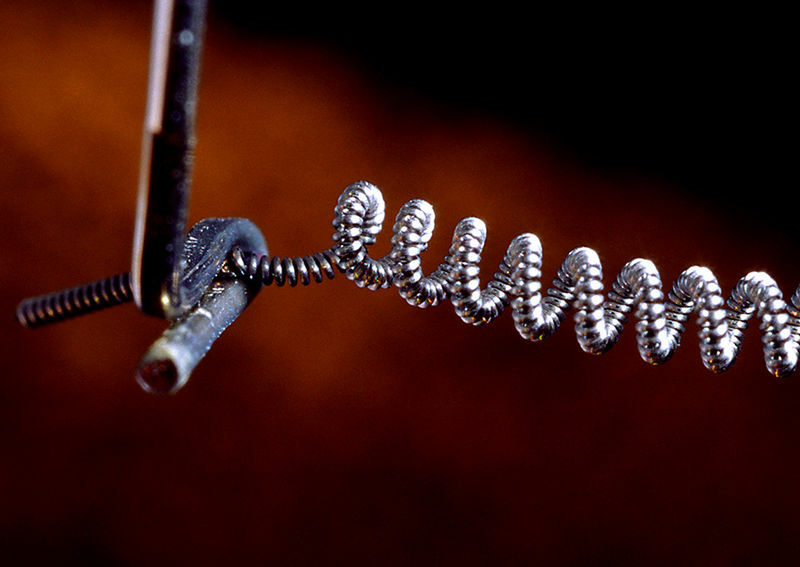 All you need to do is spend 5 - 10 years getting the permits needed to resume mining, build a processing plant, and construct a manufacturing facility to make tungsten filaments. Then, assuming that Westinghouse, or GE, or the Chinese are enticed into building a light bulb factory in Arizona to sell energy inefficient bulbs to the locals only, your fortune is set. b) the city or town must be party to a federally-approved Indian water rights settlement agreement with a tribe in the Prescott AMA. 2. Establishes the amount of groundwater that may be withdrawn and transported from the Big Chino to the Prescott AMA at 8,068 AFY. Current law authorizes the withdrawal of up to 14,000 AFY from the Big Chino for cities and towns and Indian user settlements for two specified tribes in the AMA. 3. Provides an exception from the 8,068 AFY amount if the city or town delivers more than 231 AFY to a tribe in the Prescott AMA with a federally approved water settlement agreement. The additional amount is limited to the amount that exceeds 231AFY. 4. Specifies that imported groundwater may be delivered to and used by a city, town or Indian tribe in the AMA, regardless of which entity withdraws and transports the water. 5. States the imported groundwater is legally available for the purpose of meeting assured water supply requirements. 6. Specifies that a city or town in the Prescott AMA that imports groundwater from the Big Chino is not subject to well spacing requirements. Currently, a well constructed after September 21,1991 cannot be used to withdraw groundwater that is transported to an AMA, unless it is approved by the ADWR Director based on a determination that it will not unreasonably increase damage to the surrounding land or other water users. 7. Allows groundwater that is imported from specific basins, located outside an AMA, to be moved across sub-basin boundaries within an AMA without payment of damages. Currently, groundwater can be transported within the sub-basins of the same AMA without payment of damages. 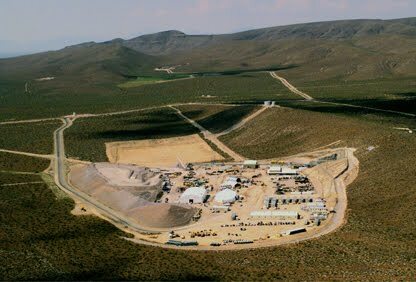 Can we use Yucca Mountain as a geologic laboratory? The President's Blue Ribbon Commission on America's Nuclear Future met a few days for the first time with a objective to consider "all alternatives for the storage, processing, and disposal of civilian and defense used nuclear fuel, high-level waste, and materials derived from nuclear activities," in the aftermath of the decision not to develop Yucca Mountain as the nation's nuclear waste facility. But that leaves the nation with a $10 billion underground facility that is probably the most well characterized and analyzed volume of earth the planet. Are we going to walk away from this tremendous investment, or can we convert the extensive tunnels and facilities into a world-class underground laboratory? NSF has invested money into South Dakota's Homestake gold mine to convert it into a Deep Underground Science & Engineering Lab (DUSEL) for physics, biology, geoscience studies. Couldn't we take similar advantage of a site that is designed for long term monitoring of environmental factors? 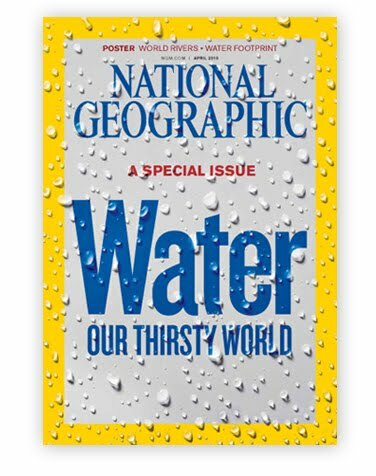 National Geographic is offering a free download of it's special April issue dedicated to "Water: Our Thirsty World" in recognition of World Water Day, March 22. The download is available through April 2. UA geoscience professor Andy Cohen is a co-author of a recent National Academy study that is drawing lots of scientific and public attention. "Understanding Climate's Influence on Human Evolution" that concludes "Climate and fossil records suggest that some events in human evolution -- such as the evolution of new species or migration out of Africa -- coincided with substantial changes in African and Eurasian climate. This raises the intriguing possibility that environmental factors affected or controlled our species' evolution." Andy was interviewed on NPR last week and will be on a public panel discussion in Washington DC next Wednesday [right]. The Utah Geological Survey is investigating new earth fissures in the town of Enoch near Cedar City, for a report due out in June. The Iron County Today newspaper describes one that is 2-1/4 miles long and offers an interview with UGS project geologist Bill Lund. The EPA has set up an online data repository of 300,000 scientific studies they used to help decide what and how to regulate. The Health & Environmental Research Online (HERO) database "contains the key studies EPA uses to develop environmental risk assessments for the public." responding to needs and challenges in the earth sciences identified by government, industry and academia. 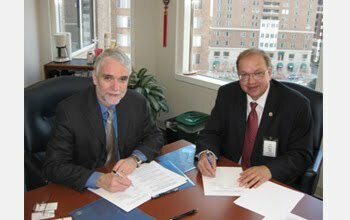 Taken in part from the NSF and AAPG announcements. Film-maker and author Randy Olson will speak at UA on March 31 on his popular book, "Don't Be Such a Scientist" as part of EarthWeek celebrations. 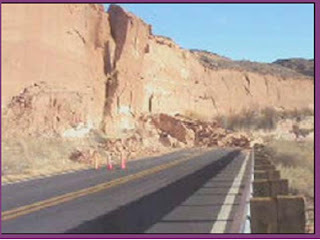 ADOT's published a short video of a rockfall occurring on State Highway 264 that occurred in early January. The road had been blocked by an earlier slide and crews spotted an unstable block in the 50-75 ft high cliff. Altogether they removed about 1,000 tons of rock along a 300 foot section. We got notice from EPA today that they signed "a proposed rule for the mandatory reporting of greenhouse gases (GHGs) from facilities that inject carbon dioxide underground for the purposes of geologic sequestration or enhanced oil and gas recovery. 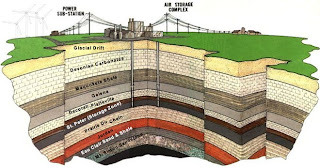 Geologic sequestration (GS) is the long-term containment of carbon dioxide in subsurface geologic formations." This proposal would amend the Mandatory Reporting of GHGs Rule that was promulgated on October 30, 2009 (74 FR 56260) by adding reporting requirements for this source category. The public comment period for this proposed rulemaking will be open for 60 days after publication in the Federal Register. In addition, a public hearing on this proposal will be held on April 19, 2010, in Arlington, VA. This proposal is complementary to and builds on EPA's proposed rule for Federal Requirements under the Underground Injection Control (UIC) Program for Carbon Dioxide Geologic Sequestration Wells. Thanks to Brian Conway at ADWR for passing along the news. There's a very troubling piece in the current issue of EnergyBiz magazine, titled "Utilities are Contested Territories." The problem he says is that cyber attackers have penetrated the utilities and set up deeply buried connections to outside controllers. He goes on to describe how the attacks are the same as those orchestrated against the defense industries and governments. Cyber security has become an 'arms race.' And the utilities are rushing to shore up their defences. One can only imagine the chaos if an enemy could take control of even small parts of the nation's power system. A new USGS report on water in the N-aquifer from the Black Mesa area of northeastern Arizona shows groundwater declines of 0.1 to 0.2 feet from 2008 to 2009. Total water withdrawals were 4,110 acre-feet, a decrease of 44% from 2005. 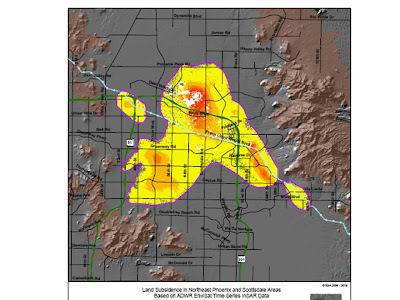 Macy, J.P., 2010, Groundwater, surface-water, and water-chemistry data, Black Mesa area, northeastern Arizona, 2008-2009: U.S. Geological Survey Open-File Report 2010-1038, 43 p.
The USGS has released three publications in recent days, on the results of the 2008 high-flow experiment at Glen Canyon dam, The latest one looks at the temporary sandbars and related features created along the Colorado River. Another looked at the impacts on rainbow trout and a third examined impacts on macroinvertebrates. The study focused on habitat created by the sandbars and backwater areas, concluding that "steady flows are associated with a greater amount of continuously available backwater habitat than fluctuating flows, which result in a greater amount of intermittently available habitat." Grams, P.E., Schmidt, J.C., and Andersen, M.E., 2010, 2008 high-flow experiment at Glen Canyon Dam; morphologic response of eddy-deposited sandbars and associated aquatic backwater habitats along the Colorado River in Grand Canyon National Park: U.S. Geological Survey Open-File Report 2010-1032, 73 p.
The name chosen for the 1-year old Siberian mammoth reproduction housed at the AZGS is "Tunguska", chosen by our judges from over 500 entries submitted at last weekends Festival of Books at UA. The second place choice was "Wooliam." The life-size Tunguska is covered with a thick coat of yak fur from the Altai region of Asia, giving it a feel as close to a real mammoth as you can get. That made it a hit not only with the kids but most adults as well. Everyone wanted to pet and sometimes hug, Tunguska. 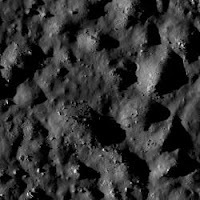 NASA released the first 6 months worth of images from the ASU-run Lunar Orbiter Reconnaissance Camera (LROC) yesterday, totaling nearly 50 terabytes of data. The data went to the Planetary Data System (PDS). "LROC acquires high-resolution images of the lunar surface from any spot on the surface with resolutions down to 50-cm meter while LRO orbits at a speed of 3,600 mph (5,800 km/hr). The imaging system consists of two Narrow Angle Cameras (NACs) to provide high-resolution images, a Wide Angle Camera (WAC) to provide images in seven color bands over a 60-km swath, and a Sequence and Compressor System supporting data acquisition for all three cameras. For at least the next seven months, LROC will collect thousands of color, black-and-white and ultraviolet images of the lunar surface, obtaining high-resolution coverage of about seven percent of the Moon’s surface. 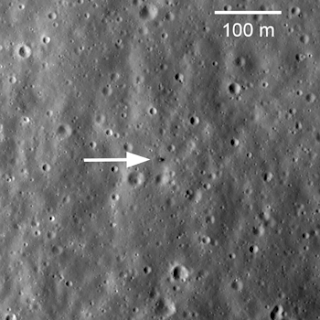 Visit the LROC webpage for detailed specifications: http://lroc.sese.asu.edu/"
The ASU-run Lunar Reconnaissance Orbiter Camera spotted the Soviet's Luna 20 spacecraft on the moon. From the LROC web site: On February 21, 1972, Luna 20 soft landed in the rugged highlands between Mare Fecunditatis and Mare Crisium. The next day a sample return capsule blasted off carrying 55 grams of lunar soil. The Luna 20 descent stage still sits silently on the Moon, clearly visible in LROC NAC image M119482862RE [photo credit, NASA/GSFC/Arizona State University]. The Chilean government warned that the nation's power supply will be fragile for at least the next six months and more blackouts like that on Sunday night may occur. 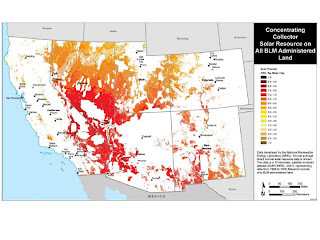 That would have big impacts for Arizona which produces 65% of copper used in the U.S.
Our census form came in the mail yesterday as did yours I suppose. 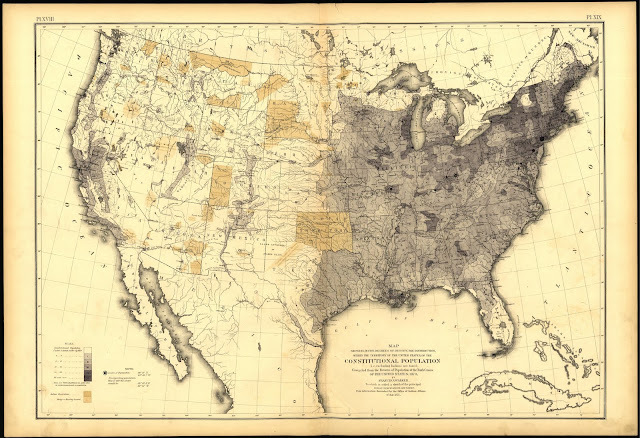 So, the timing is right for folks to post maps from the 9th census done in 1870. Below is the "Constitutional Population" map in which Tucson and Wickenburg are present but there is no sign of Phoenix. Some of the other maps include all the "Idiots" tabulated by state. Despite concerns over anti-renewable energy legislation proposed in the state, the Arizona Solar Power Society (http://www.arizonasolarsociety.com) reports that the residential solar market in Arizona in the past 18 months "more than 275 residential solar installation companies have opened shop, hired thousands of employees and created one of the most promising industries seen in a decade in Arizona." The Society reports they have 800 members including "350 companies in their membership that are installing solar electric, solar thermal water heaters and energy efficiency product and services. In addition, there are another 250 members that work in ancillary solar support companies." 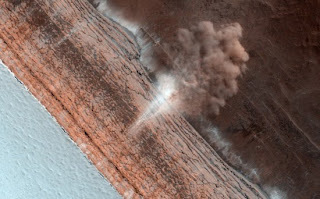 Last year the UA HiRISE camera on Mars Reconnaissance Orbiter captured photos of dust avalanches in Mars' polar regions. So, with springtime coming to the planet, the team posted images of the first avalanche found in a new survey. The solar power industry flexed its muscle to defeat HB2701 which would have effectively eliminated the renewable energy requirements in Arizona. But they are now moving to fight what they call an even bigger challenge - Rep. Carl Seele's HB2381, to remove the Arizona Corporation Commission's right to set renewable energy standards. In a prominent blog post, the Calfinder Solar blog said, "The recent wave of attacks on solar power in Arizona is troubling for a state that has some of the best solar potential in the world.arizona solar power There are states where one could argue that solar power is not the best renewable option, like the windy Dakotas or the geothermal-laden Northwest, but Arizona is practically made of sunshine. Why any group or lawmaker would want to kill solar power in that state is beyond this writer." Even though the industry hopes to kill this second bill, "the fact that such contention exists in Arizona may scare off potential solar industry additions to the state. Several states are working to attract green tech industries and the market is highly competitive. "...industry followers are unlikely to wait around for long while California, Oregon, Michigan, Colorado and other states wait with open arms and less uncertainty." At last week's Prospectors and Developers (PDAC) conference in Toronto, a minerals analyst for TD Newcrest predicted potash prices to remain flat this year but should see long term opportunities as global demand increases about 3% per year. Potash is used primarily as a fertilizer, with China, India, and Brazil using about 50% of global supply. There has not been a completely new potash mine developed in the world in the last 30 years. The Holbrook basin deposit described by AZGS in 2008 is continuing to attract attention from international mining firms. Meanwhile, the US Interior Dept is doing an appraisal of private lands inside the boundaries of Petrified Forest National Park in anticipation of trying to acquire the lands. Congress approved the park expansion but never appropriated money to buy the land from its owners. At least one major ranch has been optioned by a mining firm for $10 million after the land owner gave up waiting for the feds to act. Hearing set on seismic monitoring for illegal activities. The Arizona legislature's committee on Military Affairs and Public Safety will meet on Wednesday morning to hear SB1027, a measure that will require the Dept. of Public Safety DPS to seek funding for a pilot program of to use seismic sensors to identify illegal immigration and smuggling activities at rural airports. We're just back from 12+ hours at the second annual Tucson Festival of Books held on the UA campus. Organizers told us that overnight this is the 5th largest such event in the country. And after a wildly busy day, I have to agree. We were swamped from before the official opening and never slowed until after it closed. We ran out of many publications and maps, not to mention sales receipts. More than 250 kids (and a fair number of adults) entered our 'name the baby mammoth' contest to offer suggestions for our life-size one-year old mammoth replica from Siberia. And we answered untold numbers of questions about Arizona geology - where to prospect for gold, how big an earthquake might we expect, what rivers drain the Prescott region, what career opportunities exist in the geoscience, and on and on. We start again in the morning. With a fresh supply of books and maps, and enough name the mammoth forms to get us through the day. We hope. Did you know that 57% of the U.S. molybdenum supply is produced as a byproduct of copper mining? The USGS has released a new fact sheet on molybdenum - USGS Fact Sheet 2009-3106. The U.S. Dept. of Justice is recruiting student interns to contact families whose work in the uranium industry during the Cold War exposed them to radiation and entitle them to compensation under the Radiation Exposure Compensation Act (RECA). RECA seeks to compensate individuals who contracted certain cancers or other serious diseases after being exposed to radiation through nuclear weapons tests or work in the uranium mining industry between 1942 and 1971. The RECA Internship will cover all travel costs as well as room and board for interns and pay a small stipend to cover incidental expenses. While the RECA program will sponsor the internships, a contractor, not the U.S. government, will employ the selected students. In order to be eligible for the RECA Internship, applicants must be students in good standing. Two Washington, D.C., training sessions will be offered: June 7 to 18, 2010, and July 26 to August 6, 2010. The deadline for applicants for the June training session is April 15, 2010. The deadline for the July training session is May 1, 2010. Applications will be available online at www.justice.gov/civil/Employment.htm on March 10, 2010, or interested students may contact RECA staff at (202) 616-4304 or civil.reca@usdoj.gov to have an application mailed to them. One of the problems with solar and wind energy is their intermittancy. The sun doesn't shine at night and the wind doesn't blow all the time. But the idea of compressing air and storing it underground for later use to run generators is become more viable. The Colorado Dept. 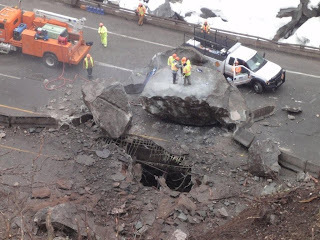 of Transportation is posting photos of last weekend's rockslide on I-70 on TweetPhoto. This aerial view shows two chutes down the mountain side. Other photos include some of the repair work underway. 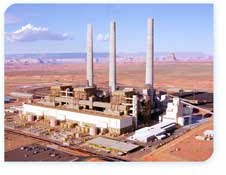 A group of conservationists opposed to coal-fired electricity is calling for shutting down the Navajo Generating Station power plant in Page as a cost saving measure to owner SRP. The group calls for covering the Central Arizona Project with solar panels instead at a cost of about $8 billion. But according to the SRP spokesman quoted in the Daily Sun, the study ignores the cost of losing nearly 1,000 jobs and eliminating royalties to the Navajo Nation. The Colorado Dept. 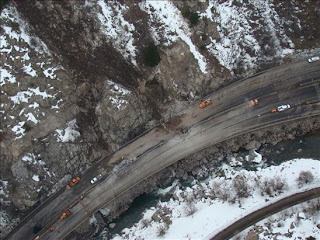 of Transportation is posting updates and great photos of yesterday's rockslide in Glenwood Canyon that damaged and closed I-70. Crews were scaling the cliff this morning to either pry loose an unstable rock about 20 feet in diameter or determine what other options they have. Thanks to Nick Priznar at ADOT for forwarding the links. 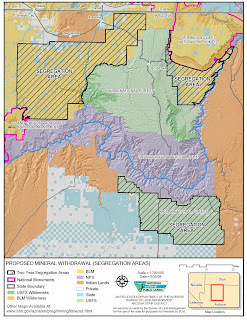 The BLM released the Scoping Report today for the Environmental Impact Statement process they are carrying out on the proposed withdrawal from mineral entry of nearly 1 million acres of federal lands in Northern Arizona. "The EIS will analyze at least two alternatives, the “Proposed Action” to withdraw lands from the location of new mining claims and the “No-Action” alternative, which would continue to allow location of new mining claims. Other alternatives may be analyzed as appropriate, including withdrawal of a smaller area." 0.03% (28 submittals) as public comment forms, and the remainder as original content submitted via email (0.52%, or 428), letter (0.17%, or 139), or fax (<0.01%, or 2)." So, that comes to over 99% of the comments being form letters and a total of just under 600 comments containing original comments. Details of the comments are broken down in the report. The U.S. Dept. 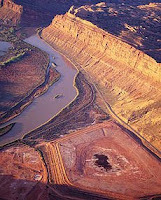 of Energy completed removal of the first one million tons of uranium tailings from along the Colorado River near Moab last week, leaving 15 millions to go, according to the Grand Junction Sentinel. The tailings are hauled 30 miles by train to Crescent Junction near the Book Cliffs in Utah. The tailings are left over from the Atlas Uranium mill which was a major uranium producer during the Cold War. The Moab Tailings Project is shipping two 26-car trains per day, M-F. The February 26 cover of Science is provided by Olaf Zielke and Ramon Arrowsmith in the School of Earth and Space Exploration at ASU. It accompanies their co-authored paper on rupture history of the San Andreas fault. Cover caption from Science: High-resolution (0.25 meters per pixel) hillshade map showing the topography of the San Andreas Fault in the Carrizo Plain of California. Two stream channels that bend at the fault have been displaced about 10 meters (lower right) by two earthquakes and 16 meters (upper left) by as many as five earthquakes, including the most recent earthquake in 1857. 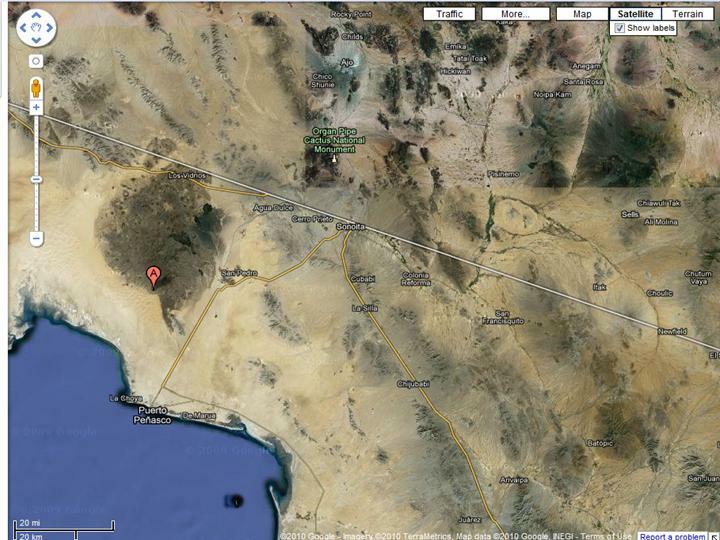 Blue indicates lower elevations. Image: O. Zielke, J. R. Arrowsmith/Arizona State University; L. Grant Ludwig, S. O. Akiz, G. R. Noriega/University of California, Irvine; topography data gathered by the B4 Project and processed by OpenTopography. National Groundwater Awareness Week starts today. 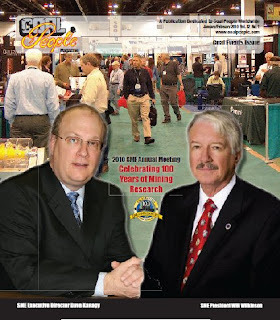 Or tomorrow, depending which page on the National Ground Water Association web site you want read. 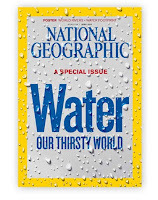 But regardless, NGWA points out that 90% of all fresh water in the world is groundwater. About 12 million households rely on wells for their water, as do many communities for all or part of their water. NGWA has compiled a list of resource links for each state, including Arizona. The Association of American State Geologists (of which AZGS is a member, is co-sponsoring the Week). The East Valley Tribune tells the story of the Kent Decree, issued by Judge Edward H. Kent of the District Court of the Territory of Arizona, on March 1, 1910. Reporter Ed Taylor makes the case that this decision resolved numerous legal issues and set the stage for allocation of water rights in the Salt River Valley. This landmark decision "affirmed the doctrine that the first people to use water beneficially on the land had the priority rights to that water. 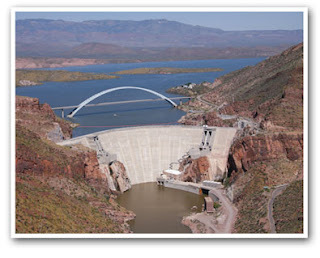 And it set the stage for the federal government to finance construction of Theodore Roosevelt Dam [right, credit SRP] and reservoir northeast of Mesa" that was critical to the economic development of the region. NOAA's prototype Web site for the new Climate Service is now online with a Global Climate Dashboard, that allows you to look at a variety of climate indicators over different periods of time. The chart at right show sea level change from 1912 to 2009, in feet. 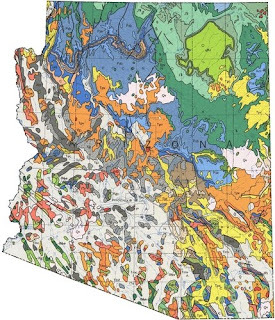 Andrew's Geology Blog has updated his online compilation of geologic maps for all 50 states that he started 10 years ago. He's "using larger images and a brief introduction to the geology of each state." The maps are posted on the About.com/Geology website. I've heard from a few of my fellow state geologists that there are newer versions of their state maps (e.g. Iowa, Ohio) but Andrew says this is the only national compilation of geologic maps. I can imagine that some of us will be sending him the newer versions we have. The Central Arizona Project has a YouTube channel that includes a video of Tom Harbour, who's with the Central Arizona Groundwater Replenishment District, describing the purpose and history of the Avra Valley Recharge Project (AVRP). Thanks to the Brown & Caldwell Arizona Water News for sharing this. The January special issue of Icarus offers 21 papers on results from the Univ. of Arizona-managed HiRISE camera on the Mars Reconnaissance Orbiter. The papers cover "Martian landforms shaped by winds, water, lava flow, seasonal icing and other forces." Valleys associated with light-toned layered deposits in several locations along the plateaus adjacent to the largest canyon system on Mars suggest low-temperature alteration of volcanic rocks by acidic water both before and after formation of the canyons. The youngest flood-lava flow on Mars, found in the Elysium Planitia region and covering an area the size of Oregon, is the product of a single eruption and was put in place turbulently over a span of several weeks at most. New details are observed in how seasonal vanishing of carbon-dioxide ice sheets in far-southern latitudes imprints the ground with fan-shaped and spider-shaped patterns via venting of carbon-dioxide gas from the undersurface of the ice. Will Wilkinson, VP for Exploration with Phoenix-based Freeport McMoRan Copper & Gold, is completing his term as president of SME and gave an interview in the current issue of "Coal People Magazine." Among the issues he addresses are the growing need for copper and other minerals on producing and transmitting renewable energy, particularly wind farms and solar, and in powering hybrid vehicles. He noted that the growing demand for electricity as well as maintaining base load capacity, means "coal will be around for a very long time" as an electric power source. Attendance at the just completed SME annual convention held in Phoenix may have been lower than some of the vendors hoped for, but local consultants and service company reps that I talked to were saying that they are getting as busy as they were in 2008 before the downturn. Lots of deal-making going on all around us. "Flooding, rock falls and landslides, sink holes and near-record snowfall" from winter storms are blamed by ADOT for recent damages to state roads across Arizona. The Arizona Daily Sun reports that most of the costs for repairs will come from the ADOT operations budget. On the drive to work this morning, I heard that ADOT is selling vehicles and equipment at auction to help raise the estimated $4.1 million in repair funds. The Green Valley News has reported on concerns raised by local water companies and environmental groups about Arizona HB2617, a bill that would prevent any state laws or rules to be more restrictive than federal requirements. The Community Water Co. of Sahuarita is quoted as worrying about their ability to prevent potential sulfate plumes from mines. There are a lot of complexities to the bill and the first hearings have been packed, but mostly with supporters. It looks like it may be heating up. 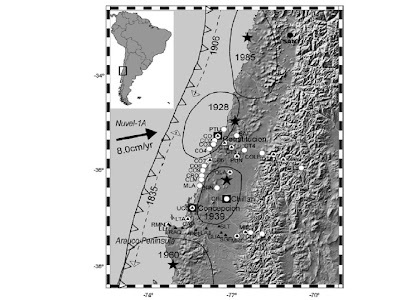 since no large subduction earthquake has occurred there since 1835." 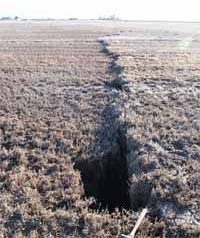 The amount of convergence exceeds more than 10 m since the last major interplate quake of 170 years ago. An article in this months issue of Mining Engineering reports that per capita consumption of sand and gravel aggregate in 2006 in the metropolitan Phoenix area was about 18 tons (20 short tons). The study examines the geology of the aggregate resources along the Agua Fria River which is a significant source. W.H. Langer, E. DeWitt, D.T. 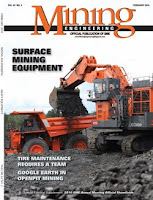 Adams and T. O’Brie, Mining Engineering, Feb, 2010, p27-31. For the past couple of years there's been a lot of chatter about the idea of covering mine tailings with solar panels. Well, at the SME meeting that just ended in Phoenix, I spoke with Nathan Barba and Stacey Abend, who run Solarmax Arizona. The have an experimental installation of their solar photo voltaic geomembrane strips on slopes at Biosphere II and propose placing them on tailings piles as part of reclamation activities. The panels are impermeable, preventing erosion, while producing electricity. Duration March 1 from 2:28 P.M. to 3:30 P.M. The El Niño rains have saturated the ground in southeastern Arizona, and new rainfall flows off quickly, producing hazardous road conditions. 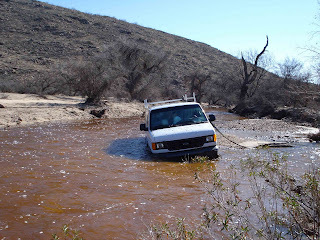 The van in this picture was being driven on Happy Valley Road in the Eastern Rincon Mountains Feb. 23 when the driver tried to cross a flooded wash. The current pushed the back end of the van downstream, rotating it about 110 degrees so that it pointed directly up stream. The driver could not open the doors because of the water pressure, but was able to climb out the window and, holding on to the strap, get away from the vehicle. He then walked to a rancher’s house on a cold, wet night.